Our Values define our identity and provide an understanding of our members. We strive to create a world-class work culture at Obhan & Associates by unconditionally living these Values. Because how we serve our clients and engage with various internal and external stakeholders is determined by our Values we associate significant importance to these Values while performing our roles and making decisions about who joins us. We firmly stand behind our Values and they are uncompromised in any condition. Our success is the result of consistently living these Values even in the face of challenges. We invite you to explore our Values to know what we stand for. I fully own my work, clients and decisions with deep sense of responsibility towards them. I lead and operate, independently or as part of a team, with optimism to achieve even the most difficult goals for myself and O&A. I persist and help others persist with calm in the face of difficulty and uncertainty with complete passion and patience. I demonstrate initiative to work on solving problems and take proactive steps to deliver my and my team’s work efficiently with complete adherence to procedures. I demonstrate courage and take calculated risks where it is in the best interests of O&A. I adapt my approach to be competitive and to come up with creative yet effective solutions. I seek feedback from others and provide feedback to others with the aim of evolving myself and others. I proactively build knowledge and willingly share it with colleagues. 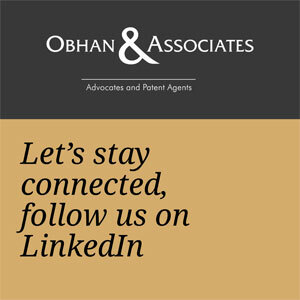 I actively work on building an environment of continuous learning at Obhan & Associates. I respect others and their opinions even if they are not in congruence with my opinions. I seek and listen to understand, with curiosity and compassion, to build clarity in my mind and in my response. I strive to give detailed and clear response to colleagues and clients within stipulated timelines without fail. I aim to achieve highest quality in all my work through diligence. I seek to learn and deploy effective communication and presentation skills to put across my views and opinions. I consciously work to build trust with all the internal and external stakeholders through my actions and behaviours. I continuously build an environment of transparency with my colleagues but respect confidentiality where needed. I strive to achieve teamwork through open dialogue and empathy for others. I always hold the value of dignity for self and others in my actions and behaviours. I conduct myself with etiquette and the highest degree of professionalism. I conduct myself in an ethical manner while dealing with clients, colleagues and any internal and external stakeholders. I act with integrity and honesty in all my dealings even when I operate independently. I practice fairness in all my actions and towards all my colleagues and O&A stakeholders. We invite you to get to know us better and understand what being a member of O&A is all about. As a firm, we are keen on retaining people that are in sync with our firm’s energy. Our selection process is based on metrics that go beyond academia and work-experience. A cultural fit along with a desire to share knowledge, are platforms we strongly consider before accepting a candidate. O&A continues to attract and welcome diversity in its workforce. We take great pride in having a strong women representation amongst our members and believe in gender equality. Furthermore, we retain people with varied professional and educational backdrop. Besides law, we have recruited people with backgrounds in engineering, chartered accountancy, management, sciences and others. Our firm chooses to be distinctly different in many ways – so working at O&A is indeed a path and experience that stands apart. We are looking to retain the services of motivated, technically qualified people at all levels of experience within the firm. If you would like to be considered for a retainership with the firm apply now.